While the secrets of modern search engine algorithms are some of the most closely guarded in the modern world, City University London research has contributed to search functions that deliver relevant results quickly - saving individuals, business and government organisations time and money. While commercial search engine companies do not disclose the inner workings of their search algorithms, these companies followed the development of BM25 closely as attested to by their attendance at the presentation of the research, and it is likely they have been at least influenced by this research. The model has been implemented successfully by small businesses to provide better search services for their clients. Muscat Limited used the probabilistic algorithms to develop internet and intranet search systems in the 1990's; software which still powers the Yell search engine today in 2014. Consumers accessing the BBC, Nokia, NASA and hundred other global websites, used the probability ranking Muscat search engine on a daily basis, to access the depths of the internet using simple and forgiving query constructs. Today the co-founders of Muscat use similar algorithm approaches to power behind-the-scenes advertising optimization - using the words on pages to contextually query 'best match' advertising during the time it takes a consumer to load the web-page. BM25 has also been adopted by widely-used open source software, including Apache Lucene, Xapian and Greenstone. Software from the Apache project was used on nearly two thirds of all websites as of September 2013. Flax, an enterprise search engine built on the Xapian system, is used by companies including the Government Digital Service, Newspaper Licensing Agency, TMV Marine, C Spence Ltd, Australian Associated Press, Reed Specialist Recruitment, Financial Times, Durrants and MyDeco to provide their search systems. The Greenstone system, partly developed at City University London, is an open source digital library system whose users include various United Nations organisations including the UN Educational Scientific and Cultural Organisation (UNESCO), which encourages its use by client organisations. 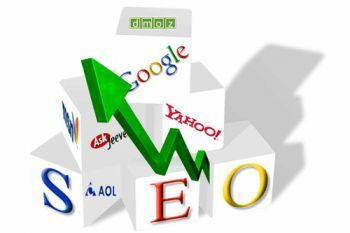 Web users around the world may take it for granted that they can gain quick and useful search results for whatever query they care to type into a search engine. Pioneering research from City helped to drive this area as the Internet was first emerging as a public platform, and can be still be seen at work in major publicly available search engines and within business applications.